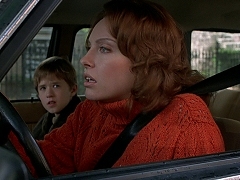 An accident on the street serves for Cole's (Hayley Joel Osment) revelation to his mother (Toni Collette). Lynn (Toni Collette) argues with Cole (Hayley Joel Osment) over a missing bumblebee pendant. Strange things happen in the kitchen of Lynn (Toni Collette) and her son Cole (Hayley Joel Osment). Press junket interviews with Haley Joel Osment and Toni Collette to promote the theatrical release of The Sixth Sense in the United States. Toni Collette is interviewed on the set of "The Sixth Sense". Excerpt from the documentary "Reflections from the Set: The Making of The Sixth Sense", featuring interviews with Bruce Willis, Toni Collette and Haley Joel Osment. Excerpt from the making of "The Sixth Sense", including interviews with Bruce Willis, Olivia Willams and Toni Collette. Theatrical trailer for "Eight and a Half Women", directed b Peter Greenaway. Home Video trailer for "The Sixth Sense", directed by M. Night Shyamalan and starring Bruce Willis, Toni Collette and Haley Joel Osment. Theatrical trailer for "The Sixth Sense", directed by M. Night Shyamalan and starring Bruce Willis, Toni Collette and Haley Joel Osment. October 06, 1999. 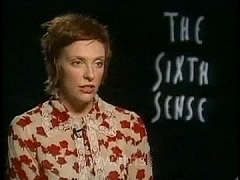 Interview with Toni Collette to promote the Australian release of "The Sixth Sense". 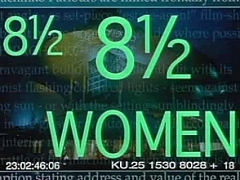 October 1999. 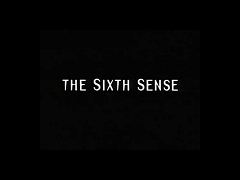 Television special to promote the theatrical release of The Sixth Sense, including interviews with Bruce Willis and Toni Collette. August 05, 1999. Report from the premiere of "The Sixth Sense", featuring interviews with M. Night Shyamalan, Bruce Willis, Toni Collette, Haley Joel Osment and Olivia Willams.